We really like to celebrate our heroes in Canada. There was a small town boy named Wayne Gretzky who rose to become an international celebrity because of his skill on the ice. Hockey is pretty much the most important thing in Canada, a sport that we pride ourselves on above and beyond any normal understanding, and Gretzky was the best at it. He was hailed as the Great One, number ninety-nine, and in 1988 he was traded out of Canada to the Los Angeles Kings and never looked back. And, you know, good for him. He deserves everything he’s claimed through the skills he mastered. Over this past weekend, though, he took a large contract to come and endorse Stephen Harper, our current Prime Minister, a man who is destroying the environment so he can continue failing at the economy. Wayne, who has not lived in Canada since 1988, came back, shook Haprer’s hand, and said “You’ve been an unreal Prime Minister.” I suppose there’s not enough money in the world to call him a good Prime Minister, but the photo-op ensued – Harper standing and shaking the hand of one of Canada’s heroes. We won’t be picking apart Wayne for this; there’s a host of other pundits that have done that already. 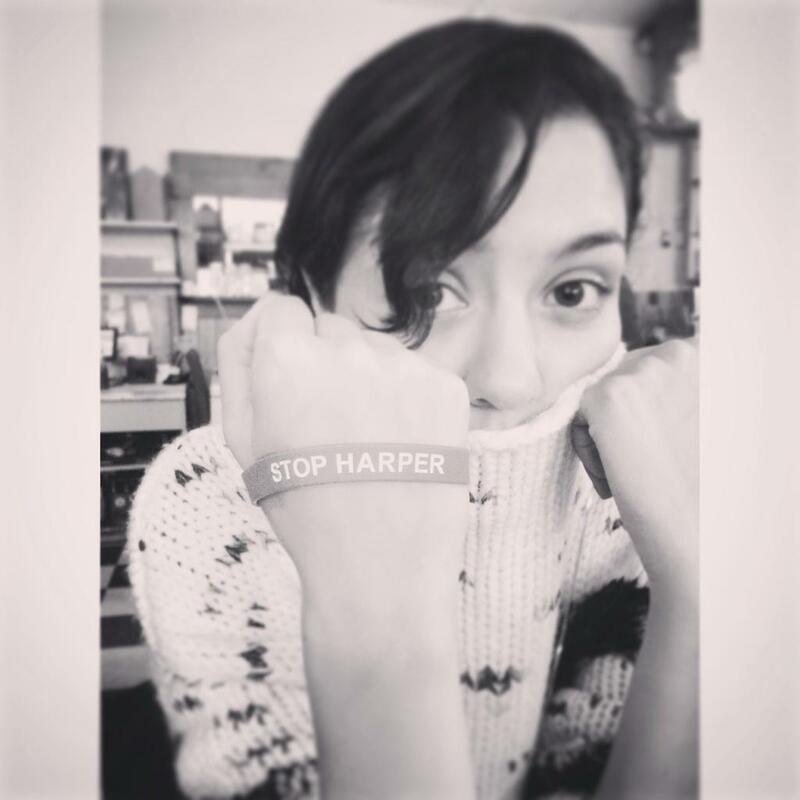 And there’s plenty of other Canadian celebrities who have weighed in against Harper, ranging from acting legends Pamela Anderson, Leonardo DiCaprio, and Donald Sutherland, to more recent talents, like Katie Findlay. No, what we want to bring attention to is this: famed political historian and scientist Dr. Lawrence Britt put together a checklist we can use to measure the presence of fascism in any given government. See, Harper called upon the power of Wayne Gretzky’s endorsement to give his government a sense of age; by calling upon an icon from an almost mythical time, Harper is able to tie his own era to that which came before and give his government the illusion of representing that time, when his politics have done everything possible to destroy what Canada was in that era. And his comment of “Old Stock Canadians” is another like-comment, meant to evoke a semi-mythical tie to history, and make his party look like the natural continuance of the Canadian narrative. That’s all kind of terrifying, isn’t it? And there’s the old question of if you could go back in time and stop Hitler, would you? Of course you would, most people say. We don’t have the technology to do that just now, but on October 19th you can, must, and should stop Harper.